Looking for a not to sweet bar for Stella to take in her lunch or I could grab during the day when needed. 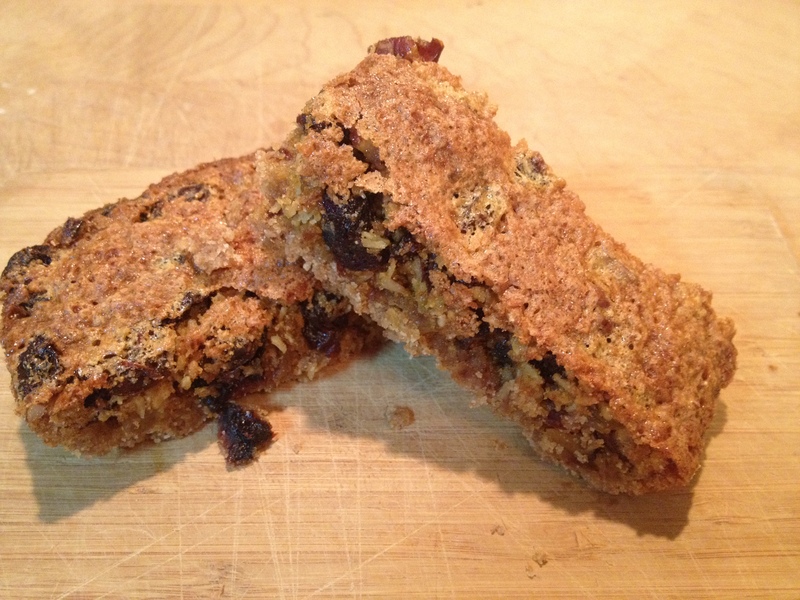 I tried this recipe out of a cookbook I have had for 25+ years, but it was too sweet and I wanted more protein – so I got to work on changing it up to fit what I was looking for. 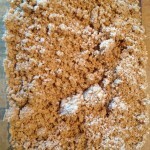 Have you ever gone to use your brown sugar and it was hard? Well that is what happened to me when I went to make these bars. A quick fix – measure out the amount that you need to use and place in a glass, oven proof bowl, sprinkle with water, mix and stick into a 300 degree oven. 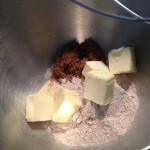 Check regularly – this will soften the brown sugar for your use. Do not put this back into your brown sugar stash. 2. 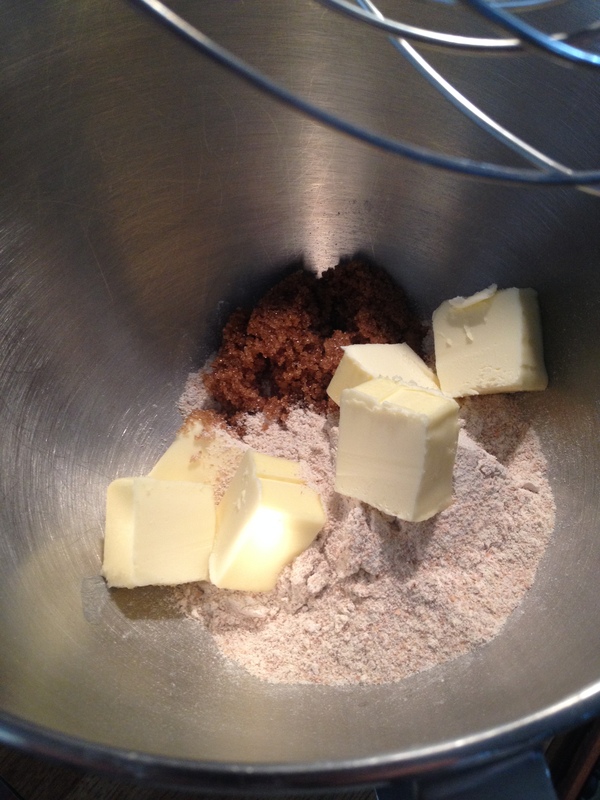 Blend together all crust ingredients. 3. 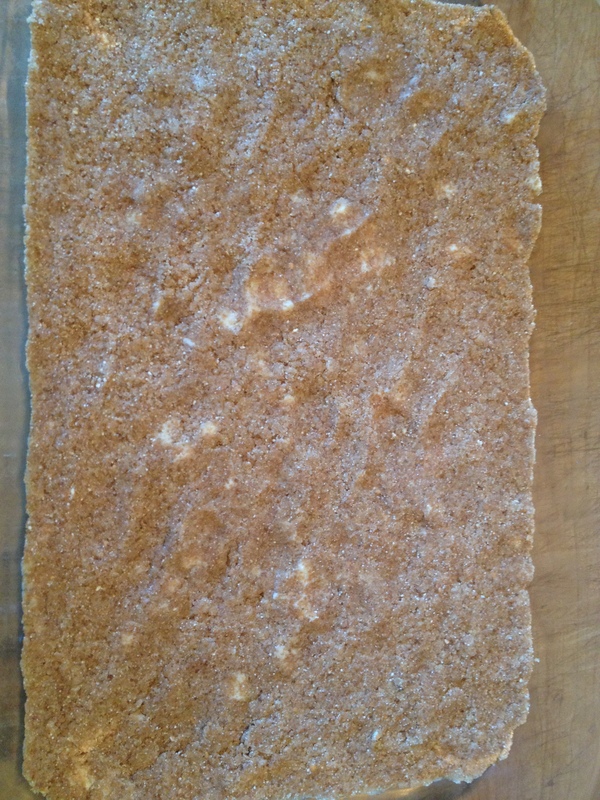 Press the crust mixture into the bottom of an 8×8 or small Pyrex casserole pan. 5. While the bottom is baking, make the topping. Beat the eggs well. 6. 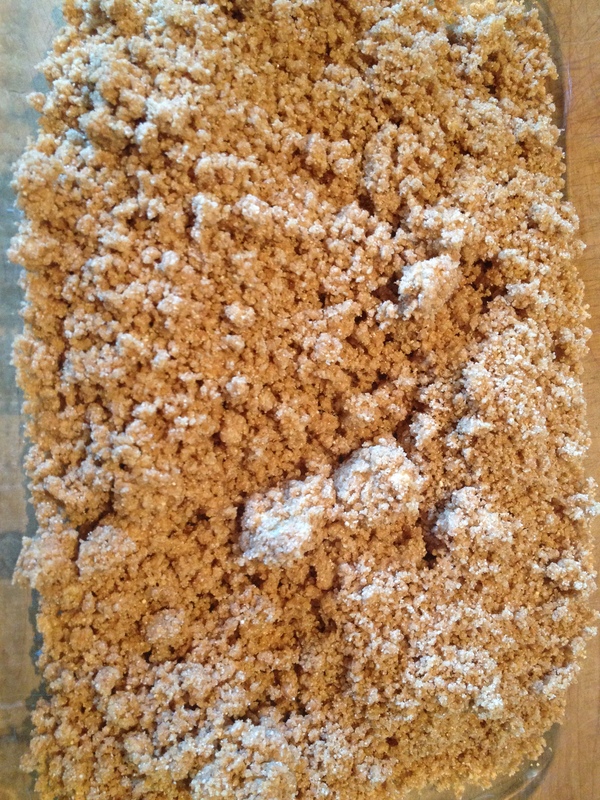 Gradually add the brown sugar and then the flour, salt and baking powder. 7. 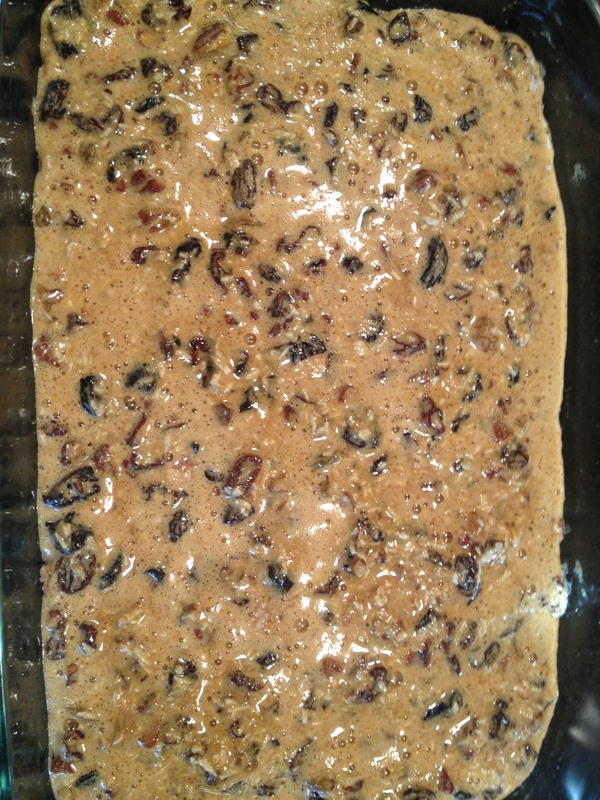 Add the raisins, cherries, coconut and pecans mixing by hand and incorporate into batter. 8. Spoon the batter over the baked crust. 9. Bake for another 25 minutes. 10. 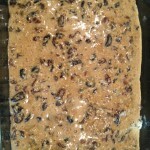 Cool and cut bars with a sharp knife, have to cut through the dried fruit. 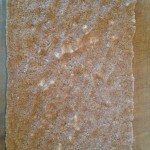 Makes about 2 dozen bars, depending of the size you cut them! These bars stay together, are chewy and not overly sweet. They were a huge hit in our house and I think they will be in yours! They freeze well. This entry was posted in Lunch, Recipes, Snacks and tagged fruit bar, lunch snack, Recipes, snacks. Bookmark the permalink. I just read that if you put 2 marshmellows in the brown sugar it will stay soft!